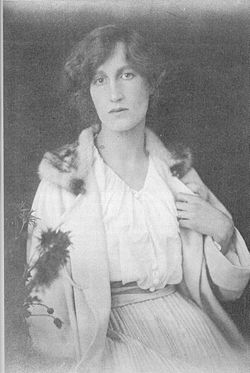 Helen Violet Bonham Carter, Baroness Asquith of Yarnbury, was a British politician and the daughter of Liberal Prime Minister H. H. Asquith by his first wife, Helen Kesall Asquith, née Melland. From 1925, she was entitled to style herself as Lady Violet Bonham Carter. In 1964, she was created a life peer. English actress Helena Bonham-Carter is her granddaughter.